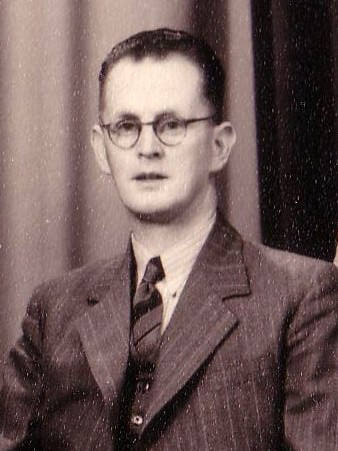 Albert Stanton was one of New Zealand’s early DXers specialising in MW DX. Even with the relative scarcity of MW stations back in the early years, Albert verified more than 1550 stations. Quite a feat! He did his DXing from Doctors Point (near Waitati ) where he had two 1000 ft Beverage antennas and a 1935 Patterson 10 valve receiver. He would listen through continuous static to stations and be writing down what the announcer was saying when all that his family could hear was just static. He gave up DXing when the tape recorder started being used by rivals like Ken Mackey and others. They used to replay over and over the recording so as to get perfect reports for stations they were listing to. To Albert that was just not cricket. Keith recalls vividly how he was offended when a station replied to him saying he must have copied his report that he had sent from someone else. All his QSL Cards, all neatly bound the albums, were given, along with his many awards etc, to the Hocken Library in Dunedin. If people want to view them they need to quote no 5070. Albert was a member of the NZ DX Club and a founding member of NZ DX Association, RA5 was his id no. He was also a member of the New Zealand Radio DX League and presented a cup, the ‘Albert Stanton Trophy’ which was awarded annually for the best verification of the year on MW. He wasn’t himself interested in Short Wave as he considered that to easy. Thanks to Albert’s son Keith for providing the above. view them they need to quote no 5070.
himself interested in Short Wave as he considered that to easy.